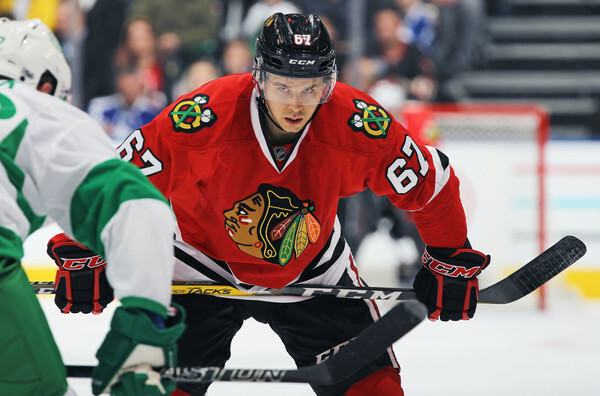 On Thursday morning the Chicago Blackhawks placed center Tanner Kero on waivers. Kero, 25, signed a college free agent with Chicago in April of 2015. He has appeared in 72 regular season NHL games and has scored eight goals with 14 assists. Does this mean Vinnie Hinostroza is finally getting called back to Chicago? Hinostroza has nine goals and 13 assists in 23 games this season in Rockford. When was the last time the 7th or 8th dman played? Can someone please explain to me exactly what this move will do , ie save money ,make a roster spot available ,help right this ship ? Hopefully he passes through without being claimed. Always liked him. Wonder if and when they attempt to trade Kempny or oesterle. MR FENN those guys are defensemen, which are akin to starting pitchers in baseball. Valuable commodities. If they move one or the other it will likely be around the deadline, when teams who are ‘in it’ are paying maximum value to get guys. Gives you a roster spot and saves a few bucks…if they’re not recalling anyone. They were at max roster size and couldn’t call anyone up. Kero is a better center than Hartman. Sliding DeBrincat to the top line moves Hartman to the wing, with Sharp. Kero is not a bad faceoff guy and a solid defensive forward. What about Panik? He, and Sharp, are virtually invisible. Schmaltz is passing instead of shooting. Hinostroza? I think the better move is Highmore. He seems to be, at least at Rockford, more effective on the PP. Oesterle and Kempny are buried, for whatever reason. SB must be up to something. Kero is 45% at the dot. Schmaltz has always been a passer…going back to junior. Highmore may be the better move. But he’s 23 games into being a pro. Give him some time. Being a strong faceoff guy and being good center are not the same thing. Faceoffs are important but only account for fraction of the time you are on the ice. Your defensive responsibilities and ability to play up down through center ice area versus up down the wing are major factors among others in being able to handle the centers position. Poor Kero. It’s a business though, and the Hawks don’t need him. Now put Sharp on waivers and see if somebody bites. Panik was a little bit more visible during the Washington debacle. I saw him actually be noticed in some scrums along the boards. It ain’t much, but it’s more than it had been. I actually think Sharp has shown a little more in the last few games as well. Then again, a little more isn’t doing much to help this team get out of its funk. Not yet. Sharp has a no movement clause. He’s not being waived. I truly cannot believe the amount of patience being shown to Richard (Flash in the ) Panik to break out of this slump. I realize there are 2.8 million reasons. But c’mon this is truly getting insane. I do not think its far fetched to scratch him, then send him down to Rockford on a “conditioning” assignment to score a few goals and get his confidence back. This same cast of characters is getting painful to watch. Craig Sharp has a no trade clause not a no movement clause so he could be waived but I doubt it would ever happen. If the Hawks top-9 were solid, Kero would be a nice 4th line center and PK guy. But, the Hawks offense is a mess and an offensive player is needed more than s defensive forward. Hopefully it’s Hino and he comes up and helps ignite the offense with his speed. If Hino is going to be in the starting line up, someone will need to sit and I nominate Sharp who hasn’t done much. Hard to believe but right now Lance Bouma is a better hockey player than Richard Panik. Craig Nigrelli, you are correct, sir. The one thing that’s been consistent season long is the 4th line (or the play of the guys who have made up the 4th line the majority of the time, considering they’ve been a part of “the blender” recently). That would be Hayden, Bouma and Wingels. It is hard to believe. However, they are the guys who seemed to actually punch the clock game in and game out. And with Bouma’s propensity to at least be around the net, combined with his physicality and effort, that has led to some points for him. Let’s call for Panik’s demotion to Rockford. We were doing it with DeBrincat and then things turned around a bit for him. And I think it makes sense, all superstitions aside. Hell, it sure can’t hurt. I don’t think he’s a one and done, either. He played well at the first of the season, along with Saad. Something seems off with Saad. Perhaps it’s not stated enough. He seems to get a little bit more of a break than Toews and Kane do, criticism wise (not from everybody). He’s been a real perimeter player, though, and doesn’t seem to be in the mix when Toews is getting triple teamed. I’ll throw in one more thing ….. one thing I’ve noticed on the PP (aside from the horrible entry attempts) is that defenders seem to be taking an aggressive approach. It’s like a basketball man to man defense with the puck handler being aggressively forechecked, which seems crazy with the defense a man down. It’s like the PK for other teams know that the puck movement is slow and that they can be aggressive, get on the guys at the point and get in their face and break things up because of the terribly slow pace. 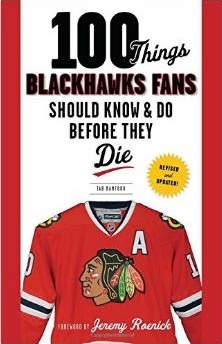 But the Blackhawks are not making anyone pay, so after watching film the other teams must be thinking “why the hell not?”. It’s a disaster. Here’s to a hopefully better outing tonight. the problem seems to be the Hawks haven’t adapted much in the last several years (could you imagine Babcock letting this type of PP to continue on his watch—with this talent? Some head coaches are good teachers and some good managers, rarely both–the point is someone on the staff needs to bring new life into the power play. Craig, agree. Bouma had a once in a career good season a few years ago and Calgary gave him an unsolicited, ridiculous contract; then Bouma reverted to form and was bought out. Bowman essentially did the same thing with Panik. Can’t see anyone claiming him on waivers on a $2.8M cap hit. No risk in waiving him if that’s what eventually happens — he either goes to Rockford and the cap hit gets lowered to $1.8M, or he gets claimed and the entire $2.8M is off the books. For those suggesting Highmore be recalled as well, agree. H&H combo. Speed to burn. I’m not sure someone wouldn’t claim him as he tends to get rejuvenated when moved (and when he plays with vigour and speed he’s useful)-unfortunately it doesn’t last and then the 2.8 reality starts to hit. Perhaps Rockford will do the same? He has had flashes in Tampa and Toronto so it looks like he’s either out of shape or lacks the drive to keep competing. I think shopping him around first to see what teade interest there may be, would be better than just risking him to waivers.